MVP “on the fly” is the mobile app that gives you a fast, efficient and rewarding airport parking experience. 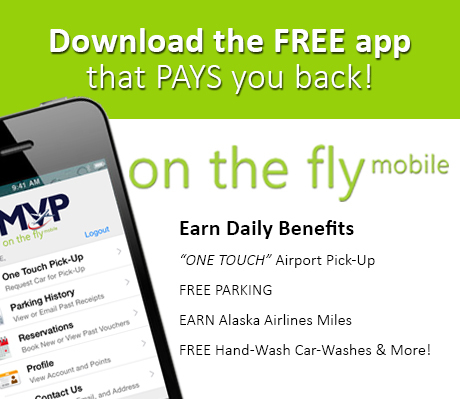 Make or confirm reservations, print receipts, EARN REWARD POINTS and utilize our One Touch airport pick-up..
With every day parked at MVP you earn points towards FREE parking, Alaska Airlines Miles, FREE hand-wash car-washes and more! Register or Login and start earning today!